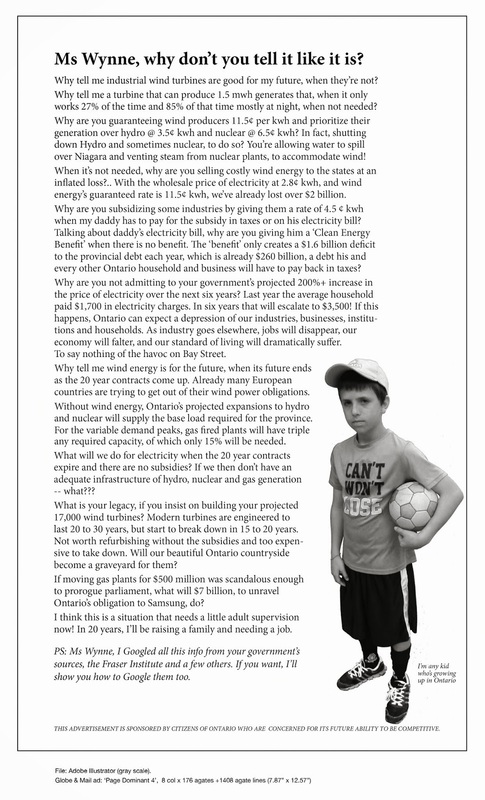 Niagara Wind Robs Peace, Security, Tranquility & Enjoyment of Property | Mothers Against Wind Turbines Inc. I have been robbed of my peace, sense of security, tranquility, and enjoyment of my property. The friendly atmosphere of my community is now lost because of the divisiveness created by the host farmers. I am surrounded by seven 3 MW industrial wind turbines within a 2 KM radius, eleven within 3KM and 25 within 5 KMs. The following is a list of physical and emotional symptoms that I have been experiencing since the project was commissioned on November 2, 2016. I am also aware that prolonged exposure to infrasound/vibrations is a causation of vibro acoustic disease. Symptoms are not usually noticeable until the cases are very serious and are irreversible. This knowledge is very concerning to me. Acoustical monitoring equipment was installed in my home for five weeks. Infrasound is in my home. Further emotional stress has been compounded by the MECP (Ministry of Environment, Conservation & Parks) in the handling of my collapsed drilled well. As a result of the turbidity that is now present in the aquifer, silt has entered into my home contaminating all my water lines, hot water tank, toilet tanks and basins. The mechanisms in the toilet tank have failed as well as the cold water tank and pressure switch which I have had to replace. The MECP are suggesting that the well that was drilled in September of 2001 lacked screens or that the welding of the casements were not done properly. These two possibilities were debunked by my Water Resource persons who viewed the welds with an under water camera and the welds were found to be perfect. He also stated that there is no screen developed that would eliminate particles 1 micron and smaller in size. How would water even be able to pass through a screen that fine? In viewing the well internally, once the camera passed beyond the submersible pump the water was so turbid that no visibility was possible. What is causing this turbidity? This is the question that the MECP is failing to address. Purposefully?? Is not the mandate of the MECP to serve and protect the environment? The MOECC was a failure, the response from the newly elected PC government is shameful. MECP is the new MOECC. Blue is the new red. ( tirbid ) in 2009 . We warned the neighboring township before constructon began on the north kent 1 wind facility and this is when the grass roots organization water wells first was first was created. Moecc , samsung and pattern energy would not listen and as construction started 1 by 1 water wells went down. They threw every excuse at us except the acual cause ( wind turbine construction and operation) . Funny how we could predict wells destroyed in advance of the construction only to have approx. 25 wells become either silted so bad or even no water at all. Anyone who questions this or who is still unaware of this needs to view the presentation that Dr. Mariana Alves-Pereira gave recently to professionals in Slovenia. Silence about this is complicity with the moral degeneration of the previous government who consistently refused to acknowledge the harm from LFN and infrasound and allowed innocent men, women and children to be exposed to LFN and infrasound from these turbines.